If you've been following along, you know that I'm in the middle of a series of posts, baking and photographing my way through all 125 gluten free cookie recipes from Robyn Ryberg's "The Ultimate Gluten Free Cookie Book". 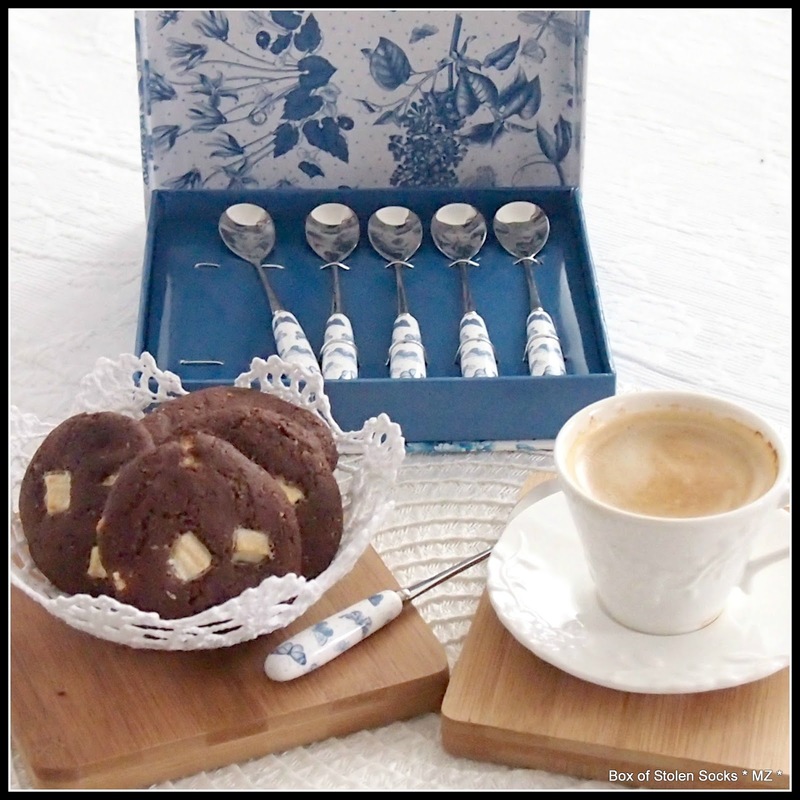 You can find the recipes for all the cookies I've baked so far here. Wait, wait. Let me rephrase that! 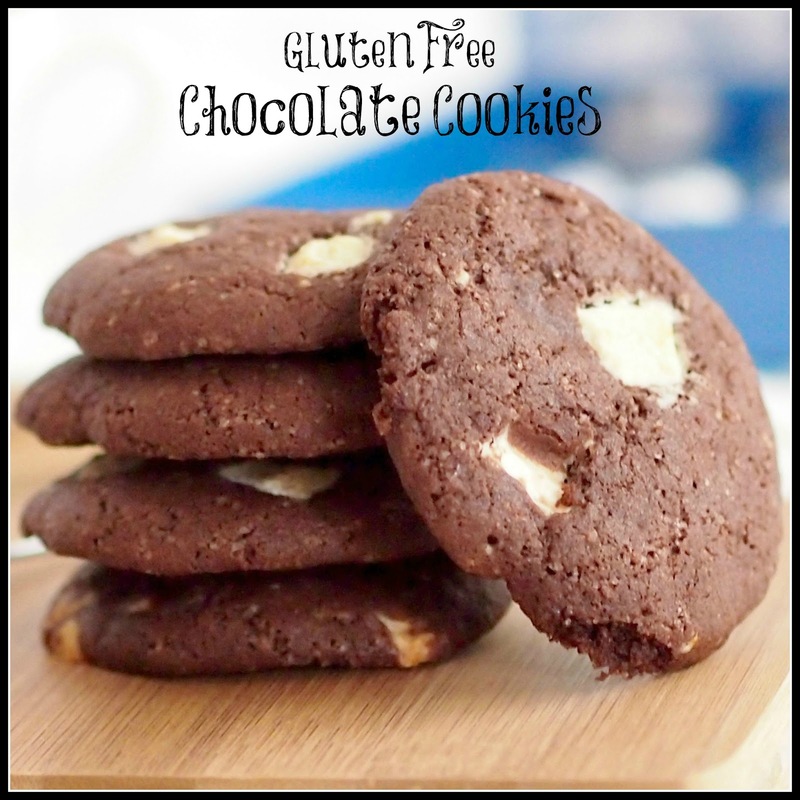 Do you want a bite of the most amazing, chewy, dark and white chocolate cookies that are also gluten free? I am sure you want...and not just one. You will want - need - to eat at least three of them until you even consider stopping. Because they are really, really good! I was surprised by how these cookies turned out! After four very good cookie recipes I've tried from Robyn Ryberg's The Ultimate Gluten Free Cookie Book this one was a revelation! The cookies came out perfect! 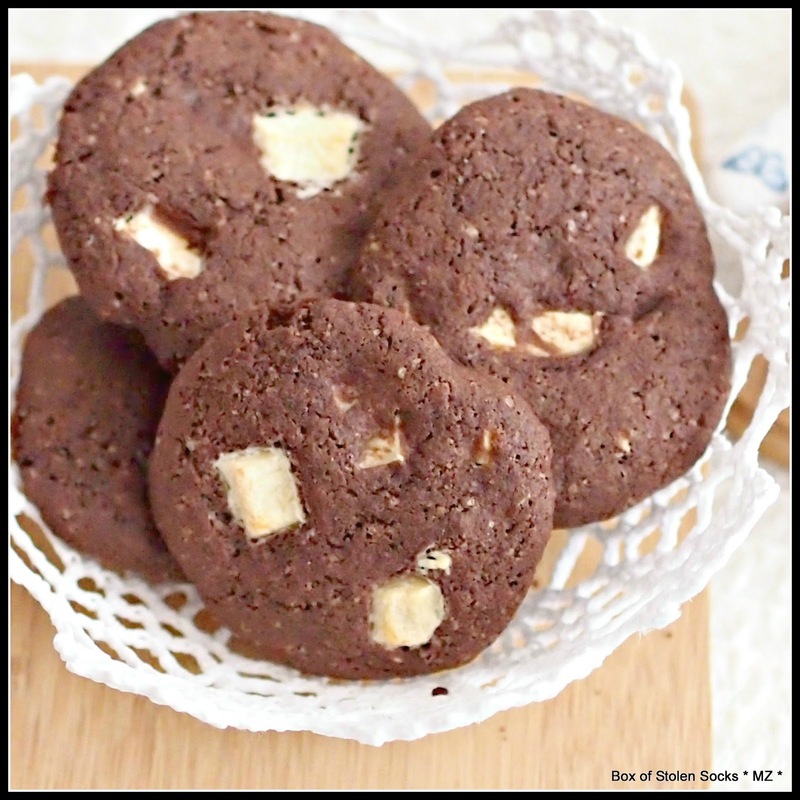 Chewy on the inside, crispy on the outside, rich and so full of chocolate flavour! I loved them! My dear friend Maja who tried them also loved them, hell everyone loved them and now it is your turn to love them! Lightly grease a cookie tray. Combine the oil and sugar in a medium bowl and beat well. Add the flour and beat very well for at least 5 minutes. Add all the remaining ingredients and beat again. Make sure to scrape down the sides of the bowl and mix again. The dough will be soft. Bake the cookies for 10 minutes. Let them cool on a wire rack before serving them.